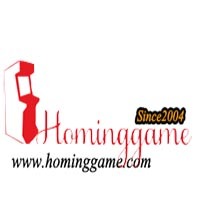 Hello everyone, when useing our TaiWan Gaming System Company HomingGame fishing game machine,if the machine times up want to extend the time or want to change the setting and get the active code to save the data,so how to do ?? 1.Press the Red system button to enter into the gaming system setting screen. 2. In the Manager Position,useing the Joystick to 'Up' and 'Down' to choose the Option, and joystick 'Left' or 'Right' to change the parameter. 6.take out our coder box,and power on, as per the video showing step by step,to imput the right data into the coder box ,finally you will get the 'Active Code'. 7.and then inside the profit draft,you will find a position to fill in this 'Active Code' .when done,just press ok. will restart the machine. 8. all the fishing game machine setting will work or the time will extend.